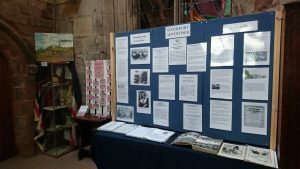 Our current exhibition, centred on the end of the Great War, has a section for remembering all casualties of any conflict. We are doing this by filling in remembrance cards with details of the person, where they were from and how and where lost. Also what relation they are to you. 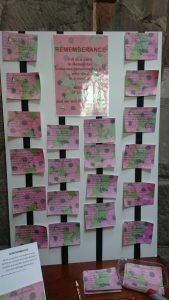 They don’t have to be local people, you are the Stockport link so if you had a friend or relation who did not return from France, Bosnia, The Middle East, or was bombed in their own homes we would like to remember them, so please come into the Centre and fill in a card for them.